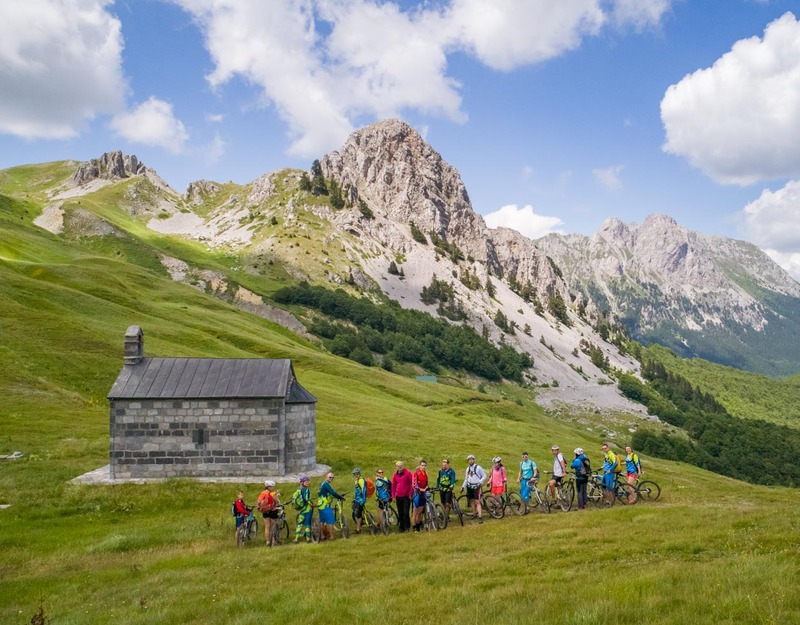 A group of fun, adventure-loving friends make an annual trek westward across the Balkan peninsula. 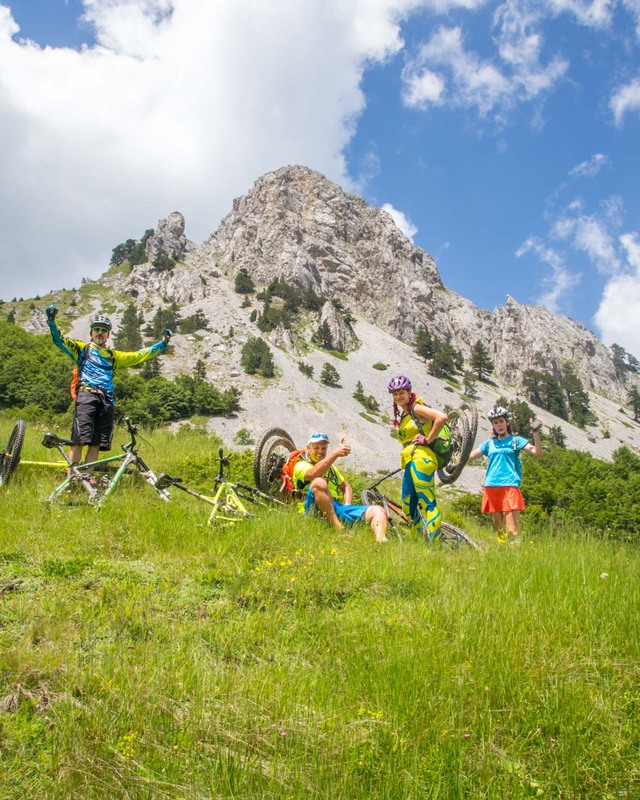 They just completed their 4x MTB all mountain adventure in Northern Montenegro. 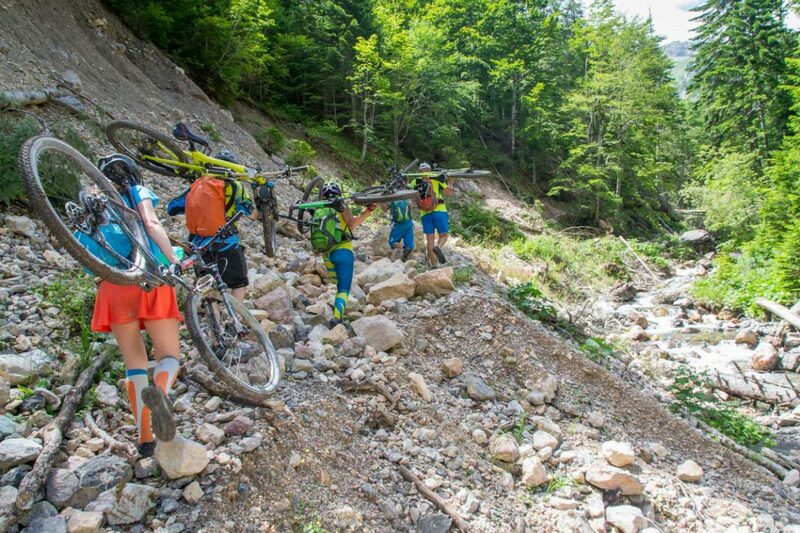 And yes, these Bulgarian bikers plan to keep coming back. While the adventures this day were epic, some of the failures were also pretty substantial. 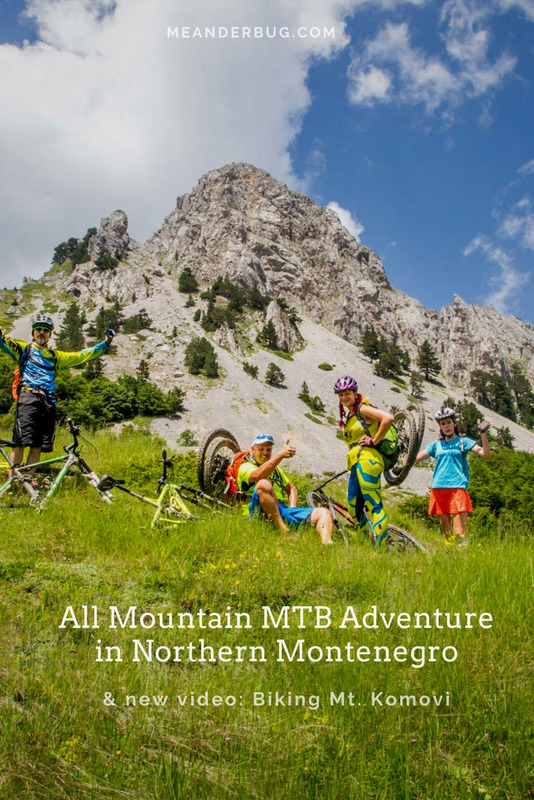 We went with the primary purpose of making a video to show MTB possibilities in Northern Montenegro. Due to torrential rains in the afternoon, we switched gears from trying to make a film to trying to protect electronic gear in what felt like a long 3-headed shower. We couldn’t have been wetter if we climbed out of a swimming pool. 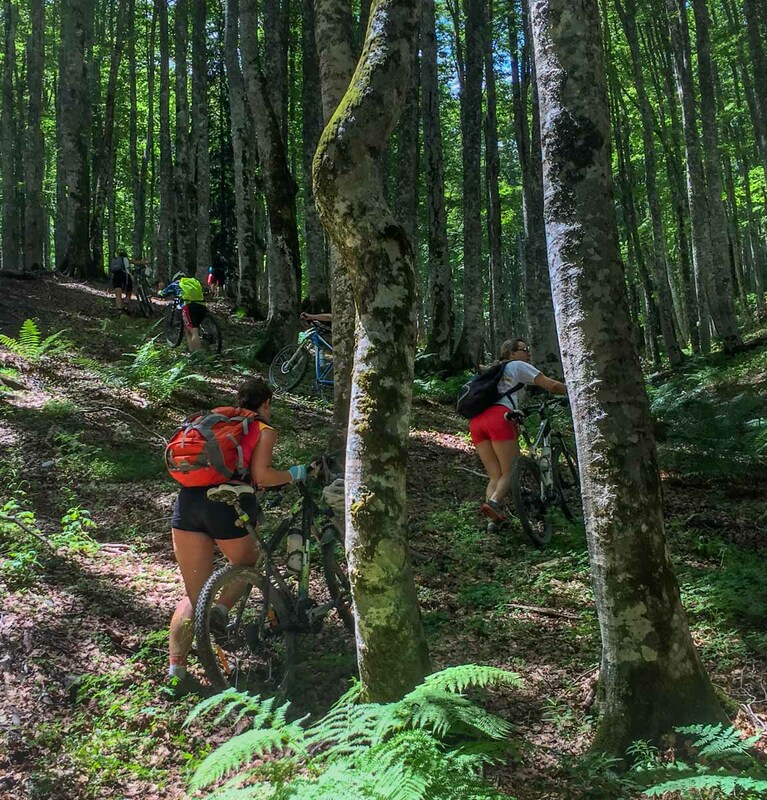 While we stood catching every drop that the trees above us could not divert, the bikers had to change course. 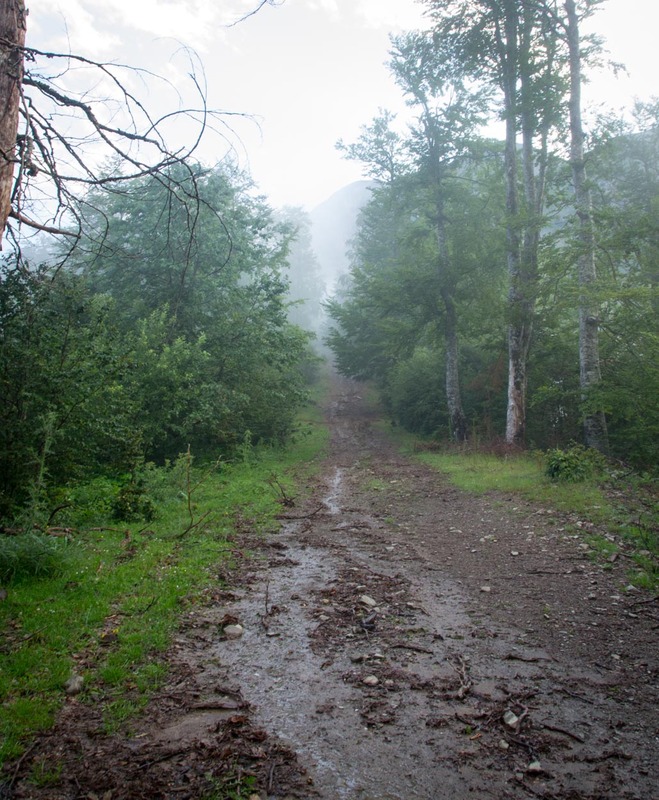 So the single track route coming off of Komovi that we were prepared to film didn’t happen that day. 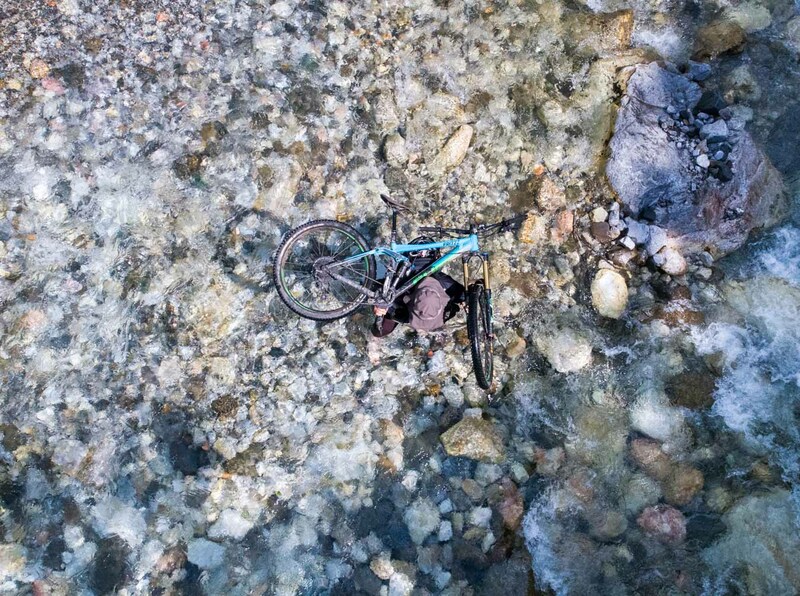 This led us to make the best 1/2 adventure film we have ever shot. Take the prep and build-up without the action on the back side. We considered scrapping the film, but there is something charming about the half-film concept. 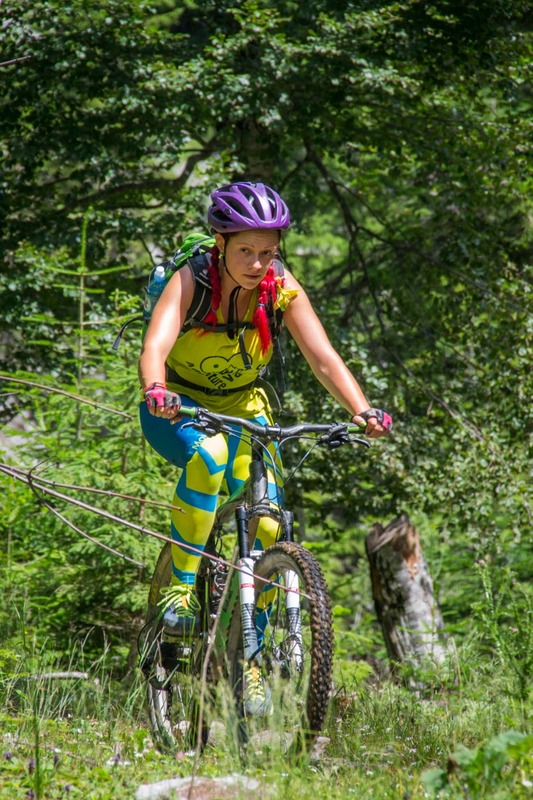 And the nature all around and the spirit of the riders was definitely worth sharing. Hopefully we can shoot the second half next year. 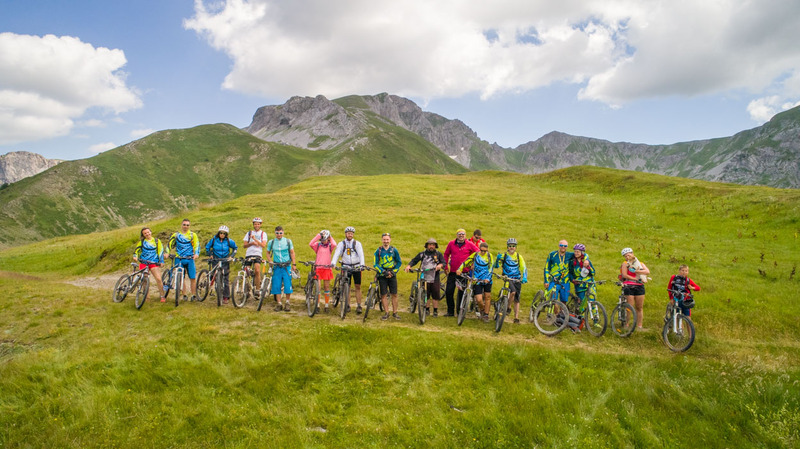 Working in rural tourism in Montenegro for several years now, I had previously heard of this group of Bulgarian MTB riders that came to one of our farm stay partners to explore the area. 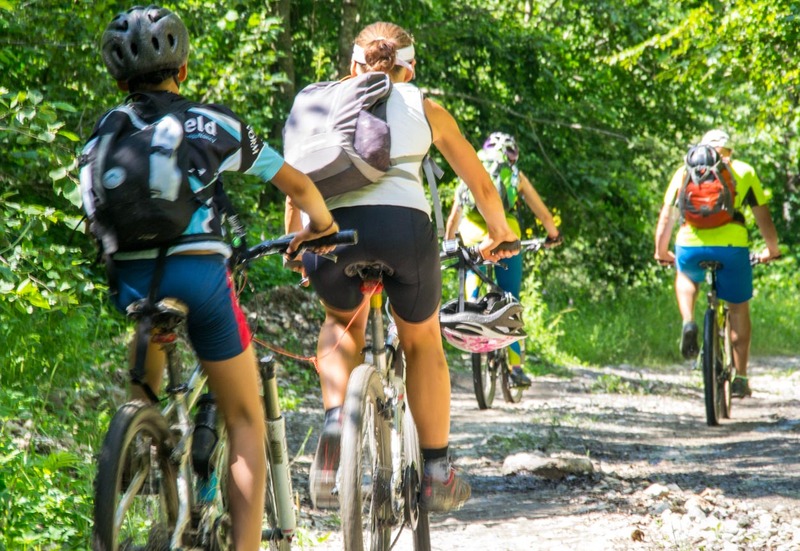 So, when Jovan of pedalaj.me called and invited me to come out to capture some pics and video recently, I was excited to meet this first gen group of MTB explorers. They have done more to inspire the locals in moving forward than they probably realize. Their adventures have been legend in the northern villages. This has given some locals enough hope to invest in developing their family farm to be one of our farm stay partners. To them and other travelers since them…thank you. You are making a difference. Their group was a collection of hard-core MTBers, cross fit advocates, fun-loving couples, energetic young people, and family MTBers. To see a mom and dad taking turns helping their 12-year-old son stay up with the group was pretty inspiring. Well done Tsachev family. Launching out from Japon Selo, the group made their way up the mountain. Early and often they encountered some notable obstacles. 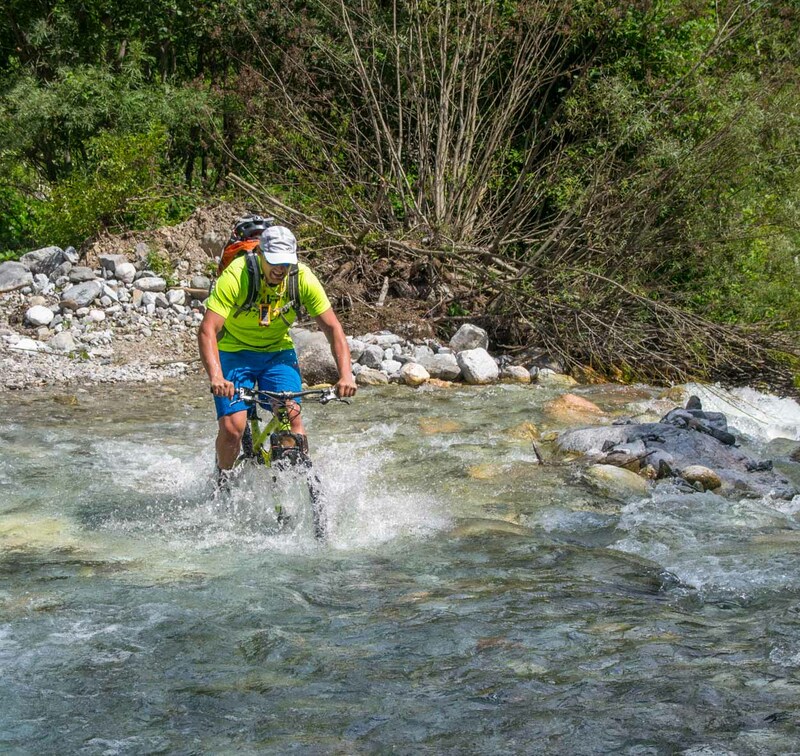 As the group leader, Julian was the first to brave the cold Mojan River. Once he made it across safely, everyone found their own way to navigate the chilly, swift waters. 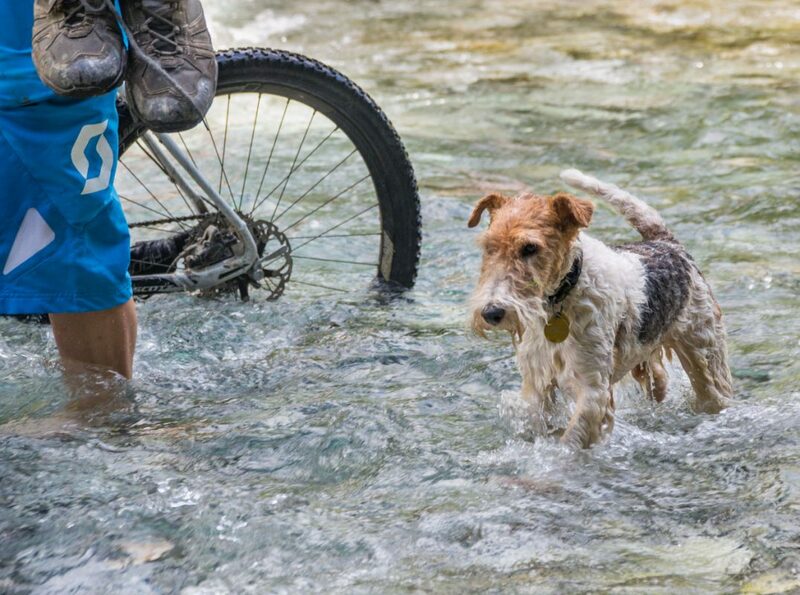 Foxie Lancer, the adventure pup, did not have much clearance in the river. He chose the most direct path as he continued his full mountain adventure. Once everyone made it across safely with dry shoes and socks, the trailing biker had some options. Try it or not? It is video day. Why not? So, Dimitar went for it. He gave a smiling all-out effort to make it across pedaling the whole way. One big rock helped him touch down and more thoroughly wet his shoes and socks. He finished riding out and provided a nice show for all. Once again, well done Dimitar and team #AdventureVanBG. 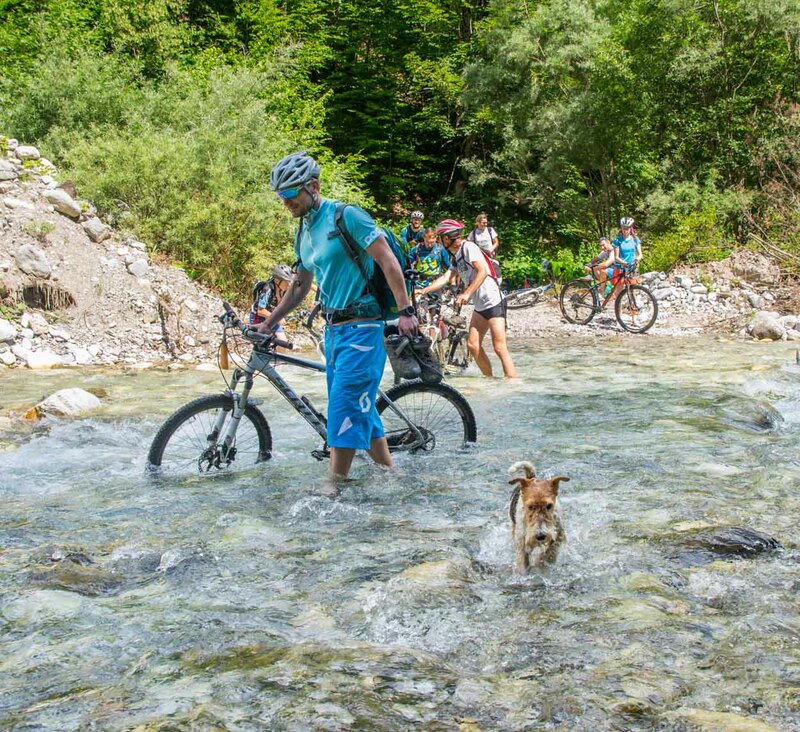 A second water crossing required more team effort to transfer the bikes across the small river. 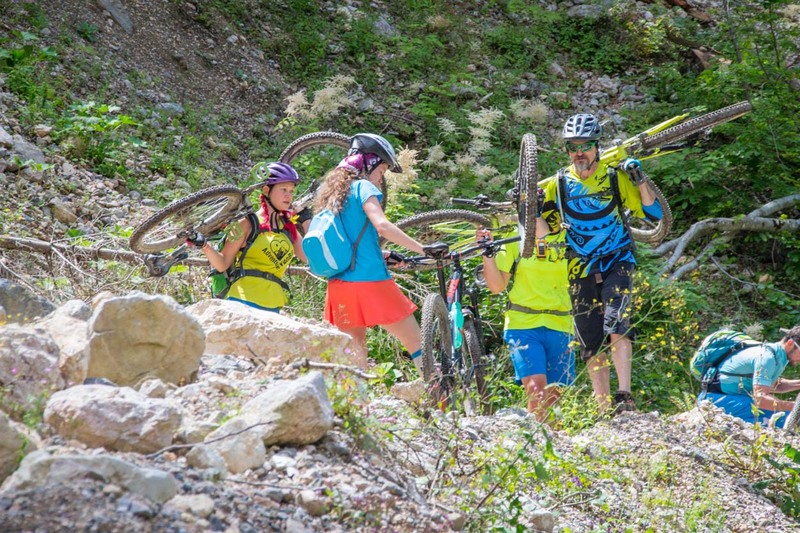 Nik took a station and assisted the other riders including Yoana in this shot. At times it seemed to work better to let the bike ride on top. We broke out of the forrest and were greeted by the peak. We didn’t discuss whether it was a rest or a mandatory pause to be in awe. Each of us just stood in silence for a few minutes. Finishing the climb up to Sveti Ilija’s Church, we paused for lunch and a group shot. Then it was time to ride. 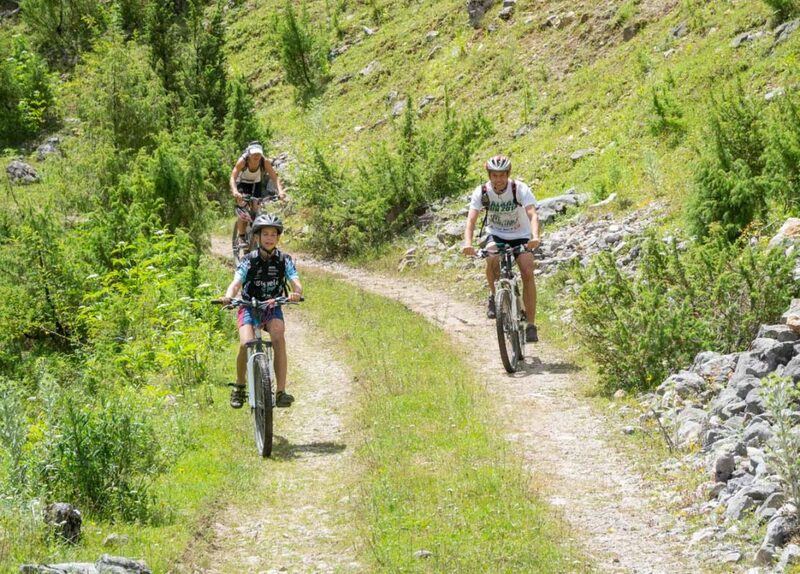 Maybe we’ll capture the shot again soon with a bit of sunshine and some mountain bikes rumbling down the mountain. And maybe we’ll make a better other half video. Huge thanks to everybody involved in this epic 24-hour adventure that was just a slice of the overall fun these guys are having every year. 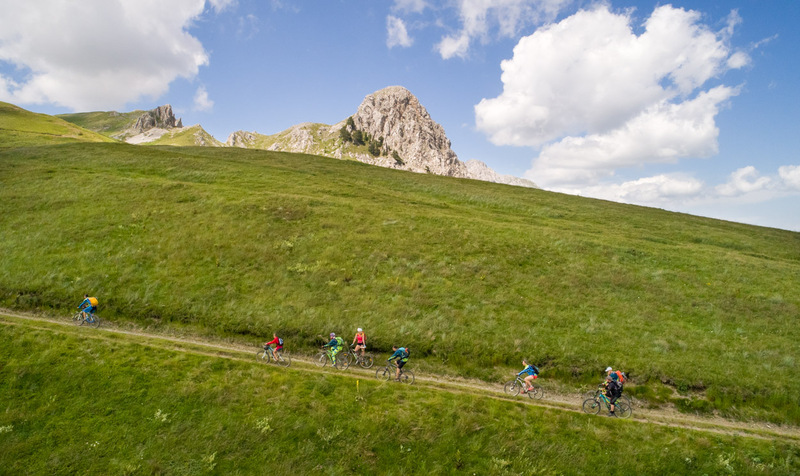 For help planning an MTB all mountain adventure in Northern Montenegro, contact us. Or check out the MTB hut to hut stuff we are beginning to put together.